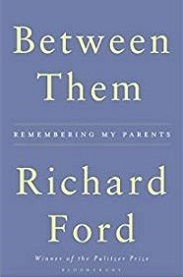 Richard Ford's parents volunteered little about their early lives – and he rarely asked. Later, he pieced their stories together from anecdote, history and the occasional photograph, frozen moments linking him to another time. Edna Akin, a dark-eyed Arkansas beauty whose convent education was cut short by her itinerant parents, fell in love aged only seventeen. Parker Ford was a tall country boy with a warm, hesitant smile, who was working at a grocery in Hot Springs. They married and began a life on the road in the American South, as Parker followed his travelling salesman's job. The 1930s were like one long weekend, a swirl of miles traversed, cocktails drunk and hotel rooms vacated: New Orleans, Memphis, Texarkana. Then a single, late child was born, changing everything. In this book, Richard Ford evokes a vivid panorama of mid-twentieth century America, and an intimate portrait of family life. Exploring children's changing perception of their parents, he also reflects on the impact of loss and devotion. Written with the intelligence, precision and humanity for which Ford is renowned, Between Them is both a son's great act of love and a redeeming meditation on family.